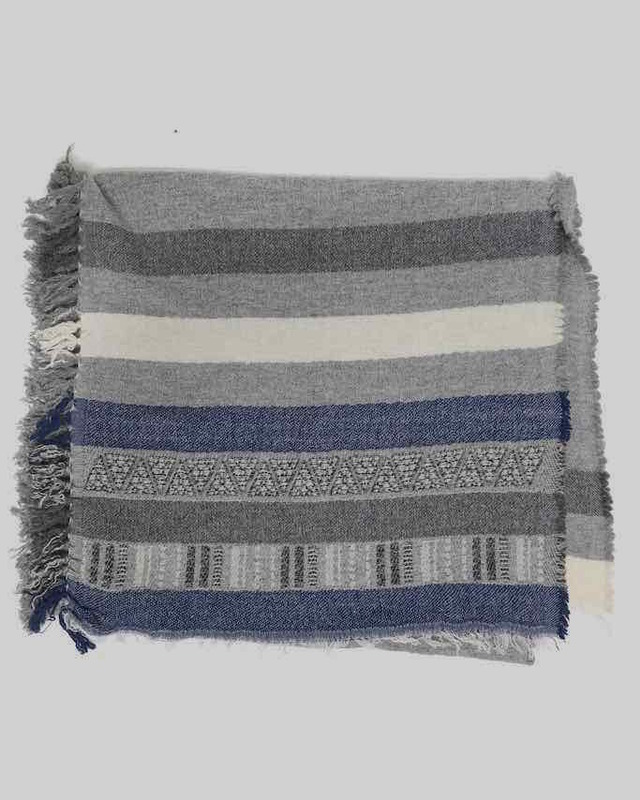 Moment by Moment Scarf “Angie” (Deep Blues) – stunning oversized blue and grey scarf, with an ethnic design, fringed edges, a medium weight fabric, very soft and warm. Wear it as a scarf or as a shawl. A must have for your Fall Winter Wardrobe. A very beautiful scarf indeed! 46″ x 40 “. Wool – Cotton – Nylon. Designed in Netherlands. 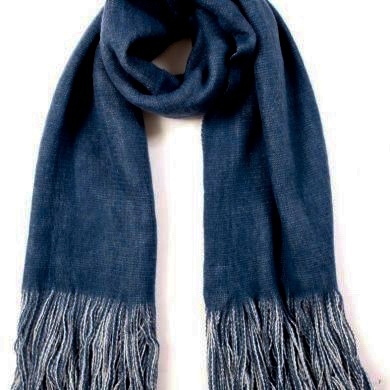 Moment by Moment Scarf “Annemarie” (Deep Blues) – stunning oversized blue and black scarf, fringed edges, medium weight fabric, very soft & warm. Can be used as a scarf or a shawl. Perfect for your Fall Winter Wardrobe. Very beautiful indeed! 77″ x 19 “. acrylic – viscose – wool. Designed in Netherlands. 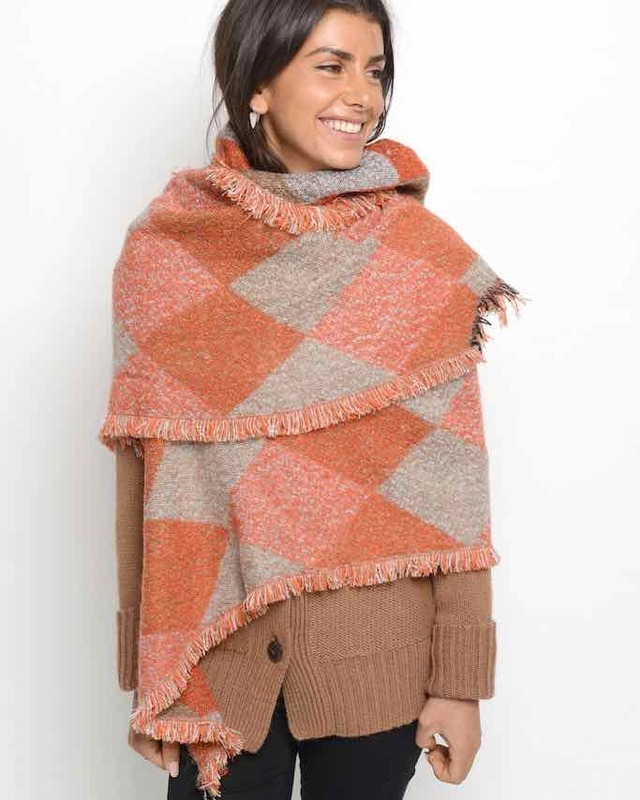 Moment by Moment Scarf “Alexa” (Deep Reds) – stunning oversized scarf, fringed edges, in a large checkered design, thick fabric, very soft & warm. Can be used as a scarf or a shawl. Perfect for your Fall Winter Wardrobe. Very beautiful indeed! 90″ x 26 “. acrylic – polyester. Designed in Netherlands. Moment by Moment Scarf “Allegra” (Deep Yellow) – stunning oversized yellow and black scarf, with a lovely floral design, fringed edges, a light weight fabric, very soft. Can be used as a scarf or a shawl. Very beautiful indeed! 74″ x 38 “. 100 % Wool. Designed in Netherlands. 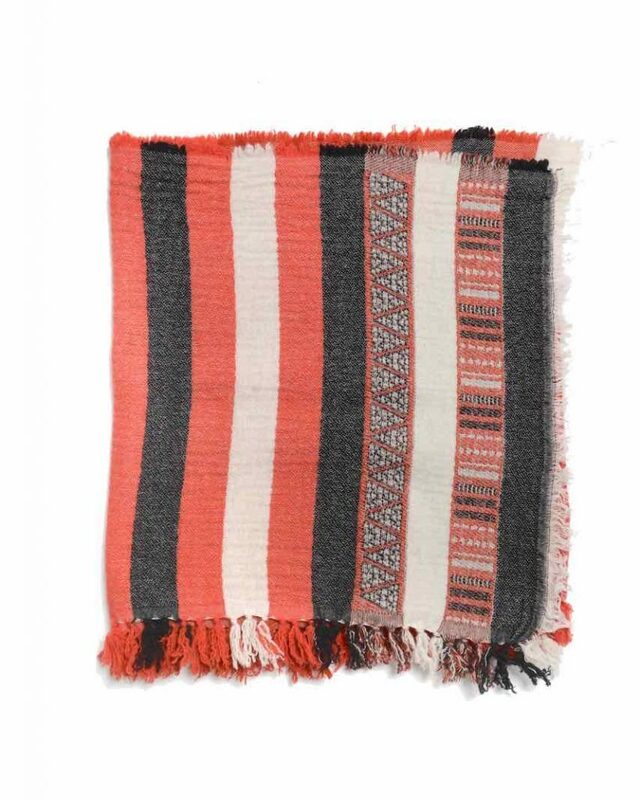 Moment by Moment Scarf “Angie” (Deep Reds) – stunning oversized red scarf, with an ethnic design, fringed edges, a medium weight fabric, very soft and warm. Can be used as a scarf or a shawl. A very beautiful scarf indeed! 80″ x 23 “. Wool – Cotton – Nylon. Designed in Netherlands. 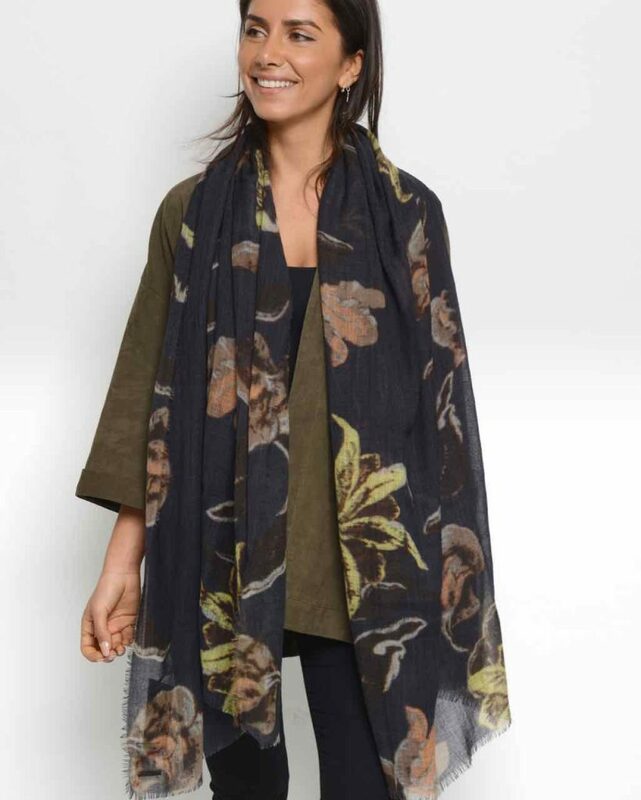 Moment by Moment Scarf “Gaitlynn Neutrals” – stunning oversized beige and white scarf. A very soft, warm and beautiful scarf indeed! Washable. 220 cm x 60 cm. 100% Acrylic. Designed in Netherlands. 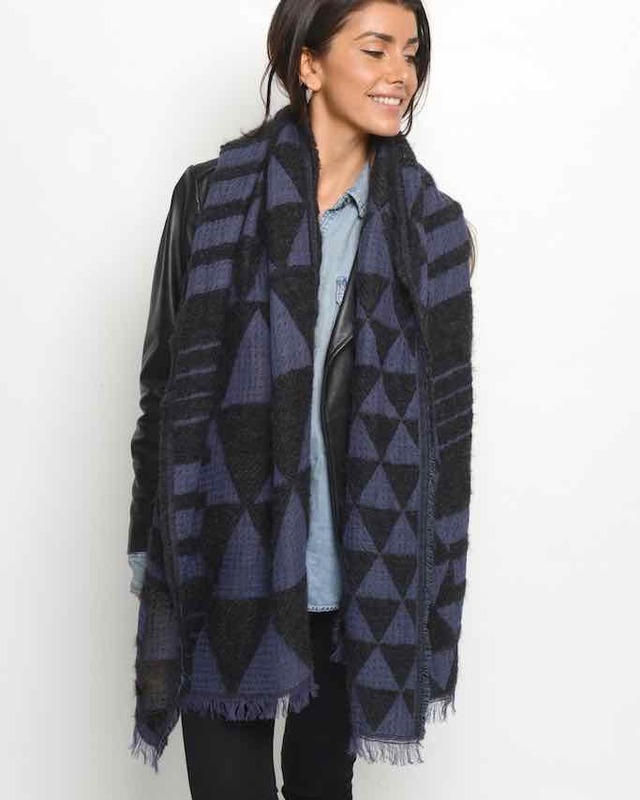 Moment by Moment Scarf “Gaitlynn Deep Blue” – stunning oversized blue and white scarf. A very soft, warm and beautiful scarf indeed! 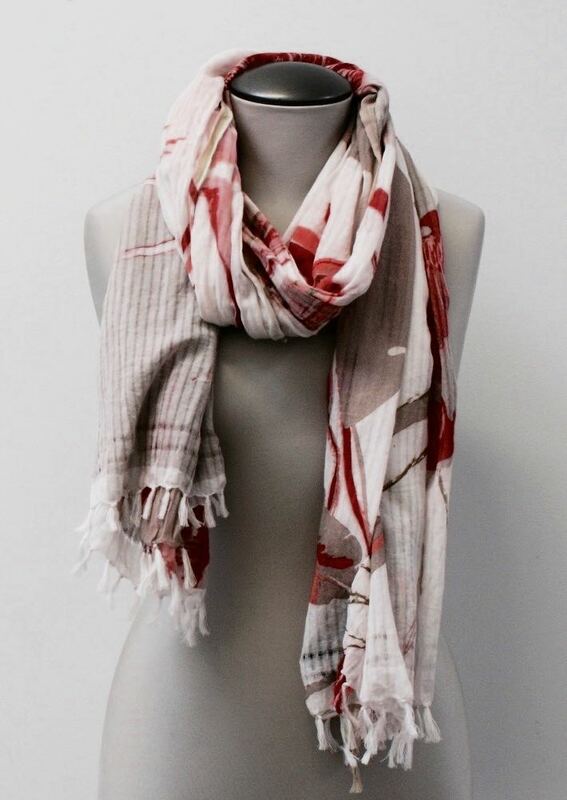 Moment by Moment Scarf “Edmunda” – stunning oversized pink & white scarf made of cotton, light fabric, with a floral print. A very beautiful scarf indeed! Washable. 190 cm x 100 cm. 100% Cotton. Designed in Netherlands. 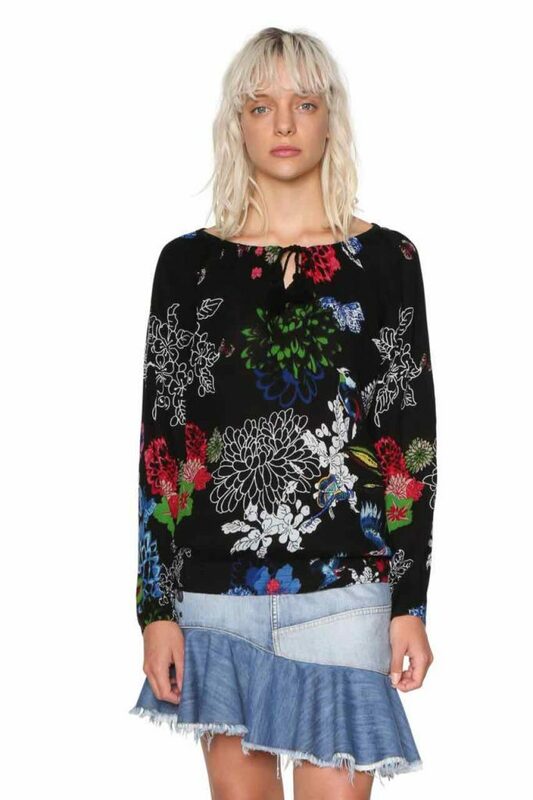 Desigual Blouse “Greats Moments” – a piece of art long-sleeved oversize black blouse with a beautiful floral print. It has elastic waist, open back, scoop neck that ties at the front, elastic at wrists. Comfortable fit. Very unique and feminine style, wow! One of the most exquisite top, indeed. Style # 18SWBWC1Tops. T-Shirts. Blouses. Tunics. Blaest Coat “BARCELONA” (white) – glamorous Norwegian design white rain city coat in a very elegant feminine retro inspired design, with contrasting black belt, buttons and neopren cuffs! Hood, zip and snap closure, adjustable belt. Fit and flare cut, eyelets under sleeves. Spectacular fit! One of the most luxurious coats to keep you dry, warm and stylish at rain or shine! You will love it every moment you wear it. Length (size Medium) = 104 cm. 2 layer fabric: waterproof, windproof, water repellant. Highest quality certified. Style # 576.Jackets. Raincoats. Rain Coats. 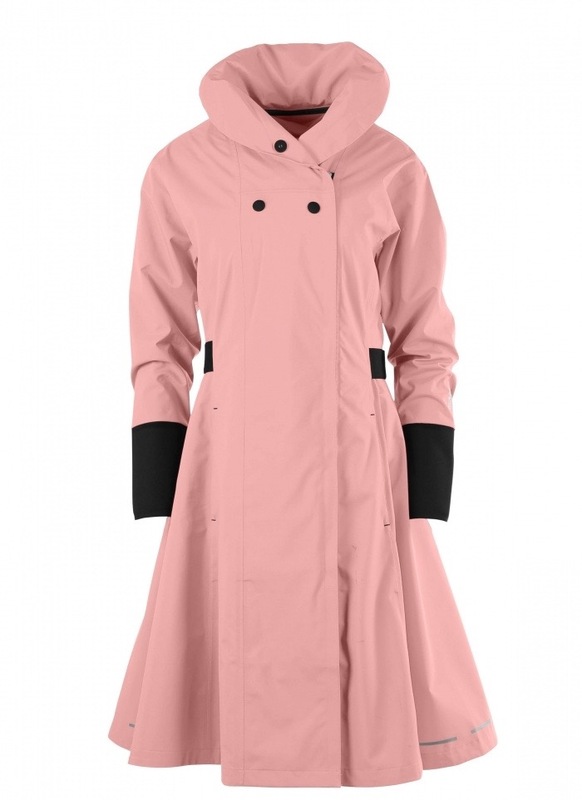 Blaest Coat “BARCELONA” (pink) – glamorous Norwegian design rain city coat in exquisite pastel pink colour, a very elegant feminine retro inspired design, with contrasting black belt, buttons and neopren cuffs! Hood, zip and snap closure, adjustable belt. Fit and flare cut, eyelets under sleeves. Spectacular fit! One of the most luxurious coats to keep you dry, warm and stylish at rain or shine! You will love it every moment you wear it. 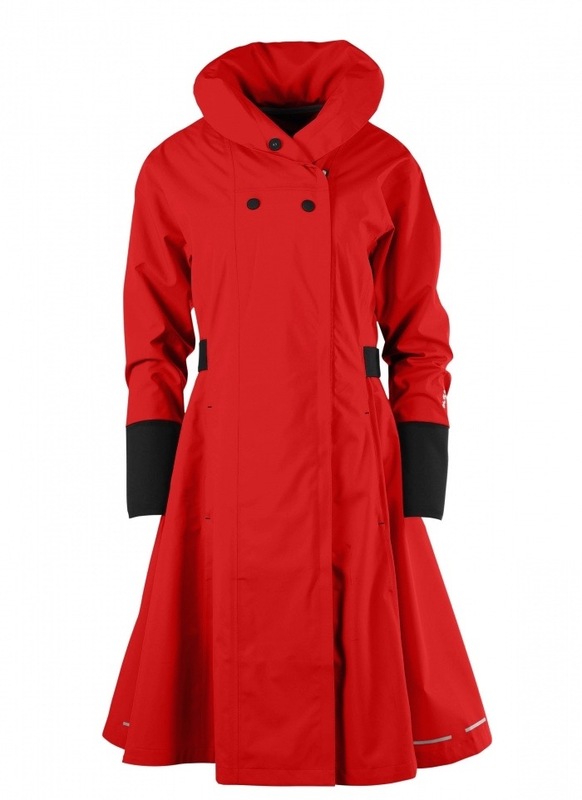 Blaest Coat “BARCELONA” (red) – glamorous Norwegian design red rain city coat in a very elegant feminine retro inspired design, with contrasting black belt, buttons and neopren cuffs! Hood, zip and snap closure, adjustable belt. Fit and flare cut, eyelets under sleeves. Spectacular fit. One of the most luxurious coats to keep you dry, warm and stylish at rain or shine! You will love it every moment you wear it. Designer’s Brands at Fun Fashion Online Boutique Check out Our Exclusive Collection of Desigual Clothing and Accessories for Women, Men and Kids. Shop Desigual Check out Our Exclusive Collection of Savage Culture Clothing for Women. Shop Savage Culture Check out our Free People Collection for Women….